We cannot say thank you enough to all the men and woman that have served and fought for our great country and for the sacrifices you have made for all of us. 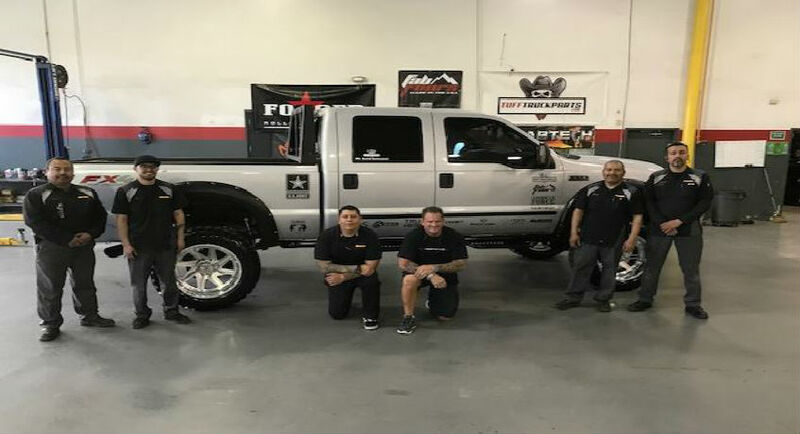 We will always offer an exclusive discount for Military, Police, Homeland Security, DEA, Border Patrol, and FBI and your family for great service and dedication for defending our great nation and protecting our freedom. Please send us a copy of your Military or law enforcement ID card and (DL) Drivers License for confirmation if you are on active duty, on reserve, law enforcement or a veteran that has served in the military please Email us or fax to 561- 510-2585 with your phone number and we will apply a 10% discount to all your purchases now and in the future. My name is Phil Gottes and I am the ceo of TufftruckParts.com and we support our military 100%! Last year watching the news I saw this unfortunate tragedy that happened to soldier Corporal Wesley Trent of the US Army. When he was on leave in Fla his newly purchased truck was stolen, striped of all custom parts and burnt to the ground. When I head this I new we could help build this soldier a new custom truck. The whole story here. Due to the strict MAP policy guidelines from our manufacturers, we are not able to apply any discounts to the below mentioned company names. We apologize for any inconvenience but the prices we are given are already discounted to the maximum to what we are allowed by law. You will find many other brands truck accessories and Jeep accessories in our store that your 10% can be applied to. Thank you and we greatly appreciate your business.